This central Los Angeles / Beverly Blvd. restaurant and lounge includes a beer and wine license as well as a large dining room, spacious kitchen, small bar and a stage for non-amplified live performances and karaoke. The restaurant was recently remodeled with new fixtures, kitchen equipment and improvements, which include a walk-in refrigerator and freezer, office and plenty of storage. A rear parking lot includes spaces for 7 vehicles. The centrally located facility is in excellent condition and ready to go for a new owner seeking to implement their own concept and gain access to nearby prime communities. Location and Facilities: The 2,000 square foot facility leases for $5,500 per month, including common area maintenance expense, on a lease valid through December 2017 with a five year option to extend. 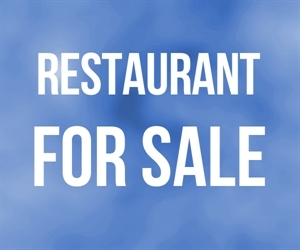 The sale includes all of the business s assets including a full kitchen, however some of the kitchen equipment was installed by and is owned by the landlord. Inventory will be sold in addition to the purchase price at cost at close. Market Information and Position: New owners will likely seek to capitalize on the restaurant location, beer & wine license, live music permit and sidewalk patio (which is licensed for alcohol) and build on the existing customer base or implement a number of other possible concepts. Competition is considered to be medium, as other restaurants exist in the area; however there is opportunity for a number of concepts to be launched from this versatile location.